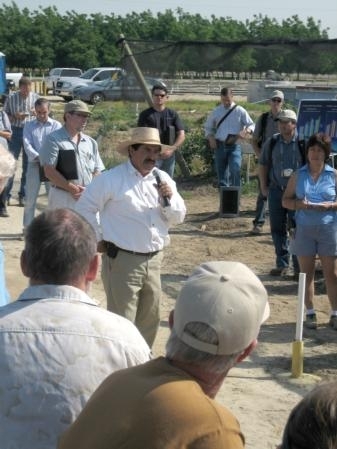 Hispanic farmers gathered at the Kearney Agricultural Research and Extension Center today for a half-day seminar in Spanish about small-scale agricultural production. A key topic was food safety. 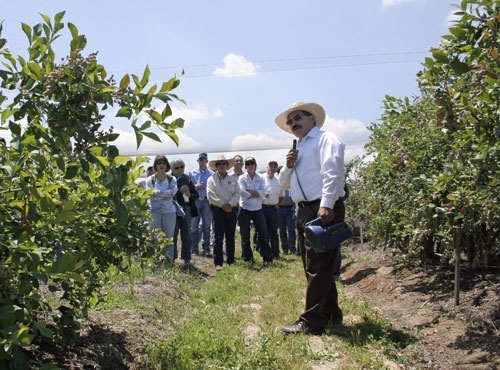 UC Cooperative Extension small farm advisor Richard Molinar acknowledged at the meeting that farmers who have been producing crops for dozens of years without incident might wonder why documenting food safety procedures is warranted. He said heightened awareness of food safety issues has consumers and retailers demanding such documentation, even if it isn't required by law. In the future, government agencies might develop food safety guidelines for small-scale farmers. "Retailers are asking packinghouses and wholesalers for the food-safety documents," Molinar said. "They want to see written policies in place." Other topics addressed at the meeting were squirrel and gopher control, sucking insect control, groundwater protection and pesticide calibration. The Hispanic Farmers Conference at KARE. 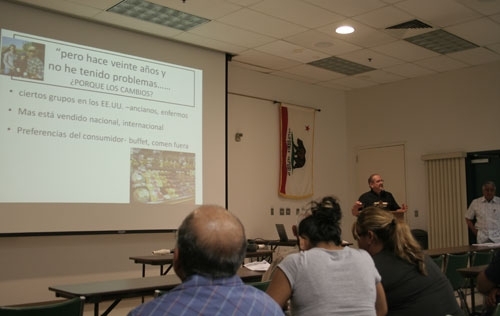 Richard Molinar discusses food safety in Spanish. Just as grape growers learn they have made excellent progress toward eradicating European grapevine moth, officials are expressing concern over a new exotic insect pest, the brown marmorated stink bug (BMSB). BMSB is now found in 33 states. Although not established in California, it has been identified in Los Angeles and Solano counties. BMBS can fly, but they primarily move into new areas by hitchhiking on vehicles and equipment. 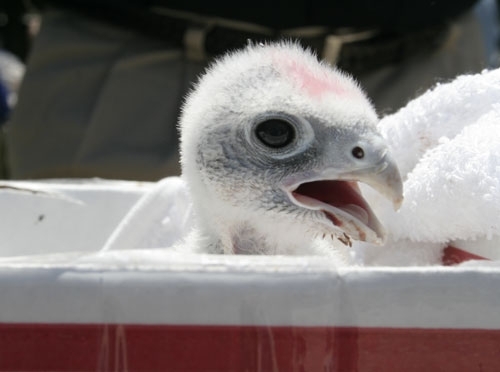 Native to Asia, it's thought that BMSB arrived in packing crates shipped to the Eastern U.S. 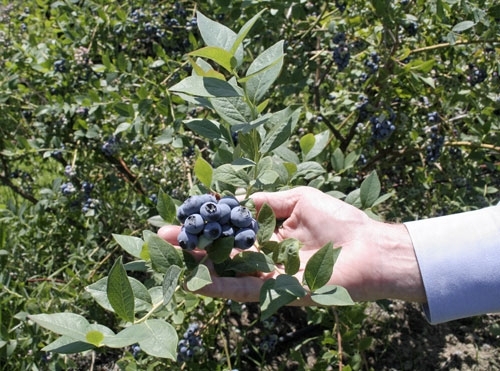 It has a large host range that includes grapes and many of the fruits and vegetables grown in California. Damage can be substantial when BMSB populations are not identified early and managed appropriately. Apple growers in the Mid-Atlantic states have reported losses of $37 million representing 18 percent of their fresh apple market. Growers and wineries are also concerned that the “stink” from any bugs accidentally crushed in wine or juice grapes could taint the product with off flavors. This insect should concern homeowners as well, since people in the Mid-Atlantic states have reported large populations of BMBS overwintering in their homes and becoming a nuisance. 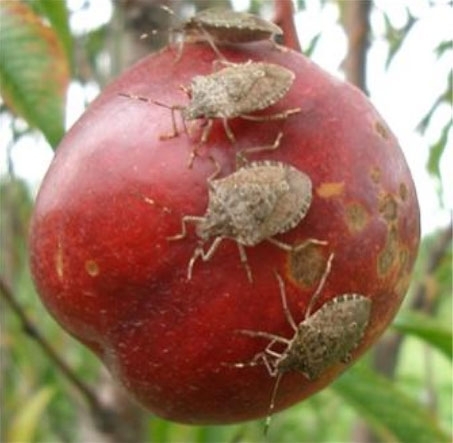 BMSBs resemble some other California stinkbugs, such as the rough stink bug, a beneficial predator of other insects. If you think you’ve found a BMSB, or any other odd or unique looking insect pest, you should collect it and bring it to your local university advisor, ag commissioner or state ag department entomologist for proper identification. 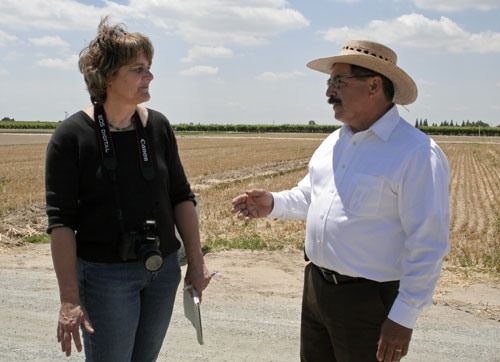 Early identification of invasive pests is critical for protecting California’s billion dollar agricultural industries.  You can learn more about the BMSB and current research here. 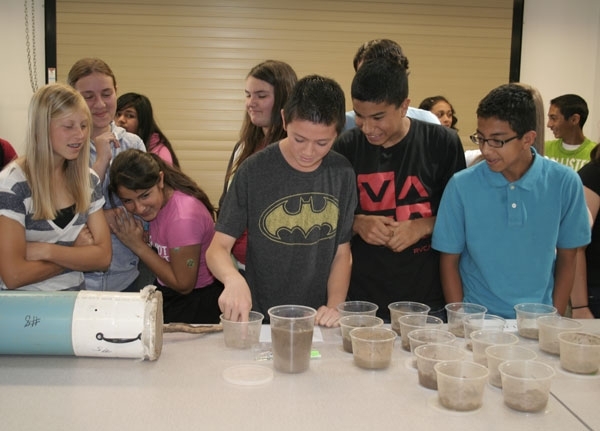 A group of eighth-graders from Riverview Elementary School in Reedley toured the UC Kearney Agricultural Research and Extension Center today for an introduction to agricultural science. In Kearney's greenhouse facility, UC staff showed the students some of the pests farmers must manage - including leaf footed bug, navel orange worm and olive fruit fly - and explained research underway to help farmers control pests in ways that are effective and environmentally sound. 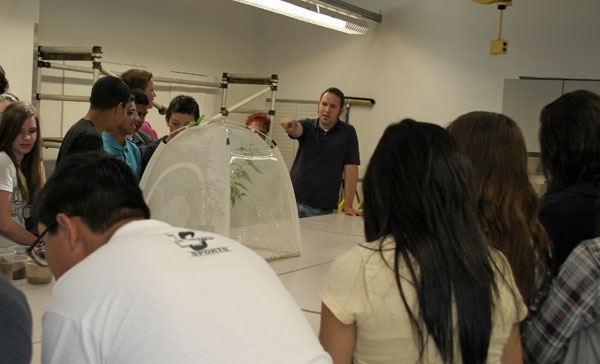 Students were encouraged to touch the insects. 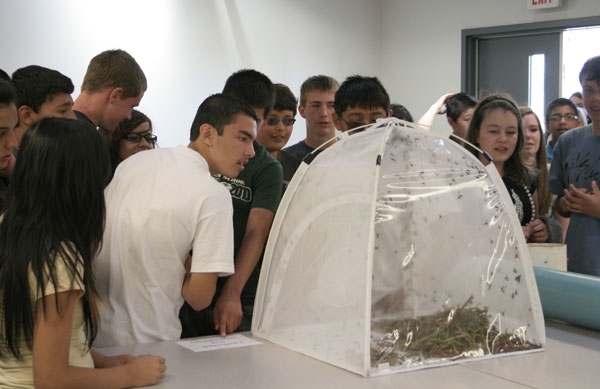 Students peer into a tent filled with leaf footed bugs. Staff research associate Andy Molinar informs students about May and June beetles.